Governor David Ige signed legislation in June allocating $210 million into the state’s Rental Housing Trust Fund, which would provide loans or grants to developers for the construction of about 1,600 affordable rental apartments and homes for families making 80 percent or less than the area median income (AMI). 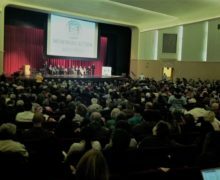 The legislation was part of a suite of housing bills signed by the Governor to address Hawaii’s growing affordability crisis. Fueling the affordability crisis is an increasing population, skyrocketing land values, and a dramatic decrease in the number of rental properties in the state. These factors combine to force people out of the housing market and into overcrowded living situations and homelessness. The Rental Housing Revolving Fund provides “Equity Gap” low-interest loans or grants to qualified owners and developers constructing affordable housing units. Funds may be used to provide a loan or a grant for the development, pre-development, construction, acquisition, preservation, and substantial rehabilitation of rental housing. To learn more about the Rental Housing Revolving Fund, go to: http://dbedt.hawaii.gov/hhfdc/developers/rhtf_html/ or contact the Hawaii Housing Finance & Development Corporation at 808-587-0620. Massachusetts Governor Charlie Baker approved $1.8 billion housing bond bill submitted by the state legislature that would provide $400 million for the state’s Affordable Housing Trust Fund (AHTF), $600 million for Department of Housing and Community Development projects, and millions more for housing for people with disabilities or mental illness, workforce housing, mixed-use projects near “main street areas” and after-school programs. 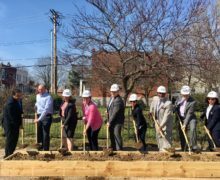 The funding will help create at least 17,000 new homes and apartments over the next five years in the commonwealth. With more than 60 percent of low-income families pay more than half their income to housing in Massachusetts, increased investment in the AHTF from the state was imperative. AHTF is designed to provide resources to create or preserve affordable housing throughout the state for households whose incomes are not more than 110% AMI. AHTF funds the creation, preservation or acquisition of housing throughout the state, including permanent or transitional housing for homeless families and individuals, and for the modernization, rehabilitation and repair of public housing. The AHTF is sited within the state’s Department of Housing and Community Development (DHCD) and managed by the Massachusetts Housing Finance Agency (MassHousing) with guidance and assistance from a 15-member Advisory Committee comprised of local officials, housing advocates, lenders and developers. To learn more about the Affordable Housing Trust Fund, go to https://www.mass.gov/service-details/affordable-housing-trust-fund-ahtf or contact the Massachusetts Department of Housing and Community Development at 617-573-1100. 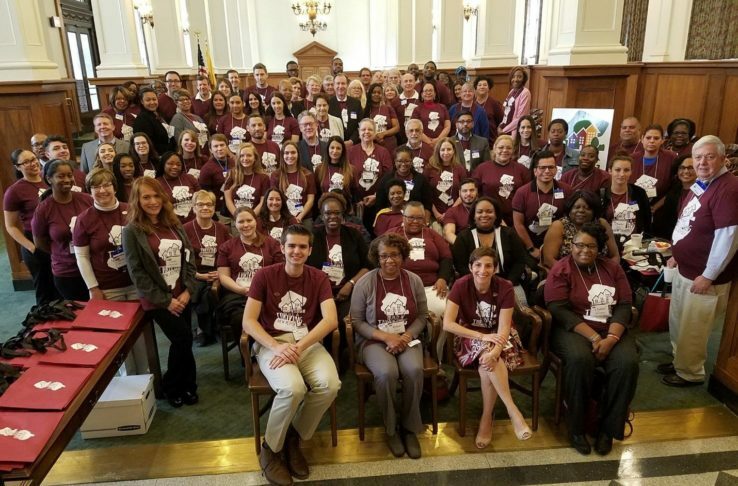 After months of sustained advocacy, the Housing Community Development Network of New Jersey (HCDNNJ) and their allies celebrated the passage of the state budget that for the first time in nearly a decade restores $15 million to the New Jersey Affordable Housing Trust Fund (AHTF). In addition, the budget approved by Governor Phil Murphy and the state legislature includes a 50% increase in the Neighborhood Revitalization Tax Credit. Building off the campaign promises of newly elected Governor Murphy, and working with legislative champion Assemblywoman Britnee Timberlake, HCDNNJ members and supporters engaged state legislators and educated them on the impact and importance of the AHTF in the wellbeing of New Jersey families and the communities in which the live. 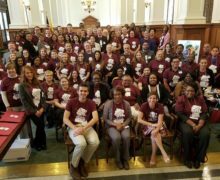 More than 150 HCDNNJ members and supporters rallied at a Legislative Day, meeting with 30 members of the state legislature. The strong showing on Legislative Day punctuated several months of supporters making phone calls and sending emails to educate legislators. The purpose of the AHTF is to construct and rehabilitate homes for low- and moderate-income households. Formerly known as the Neighborhood Preservation Balanced Housing program, the AHTF provides municipalities, nonprofit organizations, and for-profit developers with financial assistance to develop affordable housing for households at or below 80% AMI, primarily as gap financing when other public subsidies and private financing was insufficient. The AHTF is funded by a realty-transfer tax. 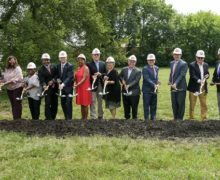 Eligible activities included rehabilitation, creation of accessory apartments, conversion of nonresidential space to housing, acquisition of property, and grants to municipalities to study housing need. Local housing authorities were also eligible for assistance with rehabilitation for existing housing. The Department of Community Affairs administers the AHTF. Under Governor Chris Christie, the state has diverted these funds for the past nine years to back-fill in the state budget, creating a significant backlog in unmet demand for affordable housing in communities throughout the state. With 200 municipalities having reached court settlements with the Fair Share Housing Center, agreeing to zone for or even build tens of thousands of affordable homes and apartments, the $15 million will be in high demand. HCDNNJ will continue to work with the Murphy Administration and legislative leaders to restore additional realty-transfer tax funds to the AHTF, as well as securing additional resources and advancing policy to solve New Jersey’s persistent housing affordability challenge. To learn more about the New Jersey Affordable Housing Trust Fund, go to: https://www.state.nj.us/dca/divisions/dhcr/offices/bh.html or call (609) 633-6258.